﻿ Does your store need store supplies, store fixtures and display cases? If so, we have what you’re looking for, Here! Today’s shopper has unique needs. The Global Association for Marketing at Retail, define that shoppers fall into four basic segments: the time-stressed, the explorer, the trip planner, and a bargain hunter. As a retail store owner, your job is to cater to these varying needs by creating a sales environment that is both comprehensive and appealing to a wide audience. Our retail store supplies, store fixtures and store display cases create an outcome that cuts to the bottom line, helping you solidify the sale. Store supplies aren’t merely practical additions for keeping your products organized. They serve an aesthetic purpose as well and thus a pragmatic choice for leading customers to the check-out line. Need to Buy Display Cases, Showcases or Retail Counters? Your display cases and showcases are an integral part of the image that your business presents to the outside world. When a new customer or potential client walks through yours doors, the retail counters, display cases, showcases, or tier displays are some of the very first things they will see. You already know how vital first impressions are for a business, so making the best impression by displaying your products, goods, and information effectively is essential. We offer a range of lines to meet the needs of any retailer or business. Display cases are well suited to showcase merchandise in jewelry stores, electronics stores or department stores. Regardless of your budget and quantity needs, we can help you get the retail counters and showcases you need. A few of our options include Glass Display Cases, Wood Display Cases and Tier Displays. Need to buy Slatwall Panels, Fixtures or Accessories? Having a company on your side with a wide selection of Slatwall Displays, Slatwall Panels, Slatwall Accessories and Slatwall Hardware is essential when adding to or creating the perfect retail store. Slatwall colors are also an essential part of any floor layout, with our selection of Slatwall colors you are sure to accomplish any style. Our Slatwall selections will help you and your staff achieve selling success. We equip retail store owners with store fixtures and store supplies that are not only affordable but professional. We carry a wide variety of Slatwall displays to dress up the sales floor, Slatwall panels for the walls and Slatwall hardware for which to hang merchandise in a number of creative ways. With our wide selection of Slatwall Accessories and Slatwall Fixtures, you will no doubt be able to create your dream store. Need to Buy Gridwall Panels or Gridwall Accessories? The Gridwall fixtures and Gridwall accessories are an important part of your displays, especially if you want to create an impressive visual impact from anywhere in the room. The purpose of Gridwall is to allow for dozens of places to easily attach and display your products, or to display information about your products. 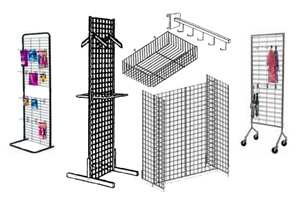 Gridwall can include not only the grid panels, but also Gridwall hardware, Gridwall shelves, Gridwall baskets, Gridwall stands, Gridwall hooks and Gridwall bases. Gridwall display’s today can be so versatile that it is utilized in a multitude of ways, in many different industries. Clothing stores, collectibles stores, department stores, and trade shows are just some of the many retailers who may choose Gridwall fixtures and accessories as their display solution. We offer a full range of Gridwall panel accessories in black, white, and chrome. 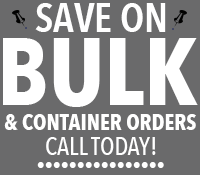 Need to Buy Retail Store Supplies or Selling Tools? 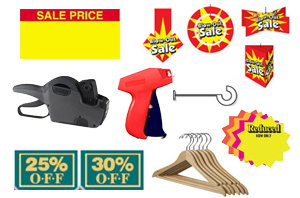 Our Store Supply Company focuses on the sale of common retail store supplies. Store Supplies are crucial for displaying your business as well as possible. They are a vital part of any retail stores ability to sell and grow. Store Supplies are also very important for successful functionality and improvement. We have a variety of retail store supplies to help you accomplish any goals you are trying to achieve, or setups you are trying to design. Our Labeling guns are designed to help sell the items properly, whereas our clothing racks and hangers are designed to show your merchandise properly. We have thousands of retail store supply products for sale and are constantly adding them to our online sales presence. Visit our local retail store supply warehouse in Phoenix Arizona. If you see an image on our website that is not yet for sale online, please call us. In any retail establishment or warehouse you will find that proper display and storage methods are especially important. 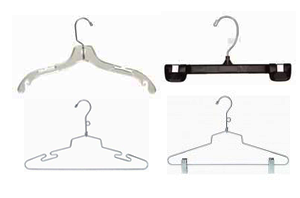 We carry four different hanger types, so that our clients have the widest possible selection. Wooden hangers, plastic hangers, wire hangers, and coat hangers are our basic divisions, and there are many unique options within each division as well. The size of the hanger can vary by not only material, but also by your personal choice. We have hanger sizes for men’s and women’s clothing, for children’s clothing, and for very heavy garments like coats or even purses and accessories. Hangers you use will be seen by your clients and perceived as part of your company’s public image, it is important that the right hanger fits the right garments, so professionalism shines through at all times. The wall mount shelving, glass cube shelving, gondola shelving, or any wall shelving is an integral part of the image that you present to your clients every day. Wall shelves and floor displays like these are especially important because of the dramatic visual appeal that they have for customers, so they are for retail store shelving. Gondola style shelving is a free standing shelf system that features multiple layers of display space as a double sided or single sided unit. This type of shelving sells in a kit with almost no nuts and bolts. Other shelving fixtures like wall mount shelving will display even more products on your walls. The wall mount shelving fixtures have two types: The Single Slotted and Double Slotted Standard. This inexpensive option allows you to mount a very lightweight shelving system. Need to Buy Clothing Racks and Garment Racks? Clothing Racks otherwise known as Garment Racks are one of the easiest ways to display a great deal of merchandise in a limited amount of retail store space. Additionally, clothes racks are quite inexpensive, especially when you consider how much easier they might make it when organizing and displaying your garments. 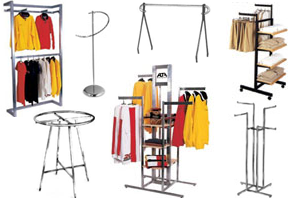 Our garment racks include permanent garment racks and moveable garment racks. 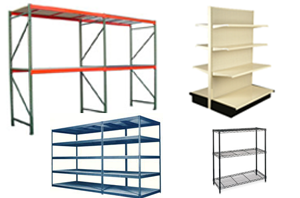 Some of the options in racks include Adjustable clothing racks, portable clothing racks, four-way clothing racks and two-way clothing racks. Some of our clothing racks combine features, such as portable racks that easily adjust to hold varying amounts of garments securely. We also sell additional parts. Garment racks are a convenient way to store clothing not only for your business, but also for your personal use. Need to buy Mannequins or Forms? Mannequins and forms can be one of your best sales associates. We offer them a wide variety for pretty much any arrangement you can think of or create. Many styles include multiple colors such as black, white and skin color, with hair or without. Even ones with a face or none at all. Each mannequin and form has a specific look and is versatile for many types of clothing. We carry full body mannequins and custom order mannequins. We also offer a very wide selection of forms such as countertop forms, french forms, kids forms and plastic torso forms. A few of these forms hang on the wall for terrific and unique display arrangements.